An independent Bio-medical Institute (IBIS) has tested Tergum Maximum to proof its effectiveness on human skin tissue. The first conclusion was logical due to Maximum´s unsurpassed antioxidant capacity: it reduces superoxide anion production and increases nitric oxide generation. 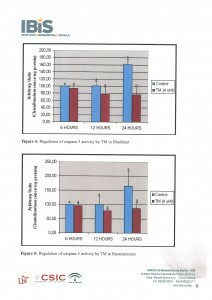 Furthermore the assay concluded that Tergum Maximum reduces apoptosis (24 hours) in fibroblasts and keratinocytes. 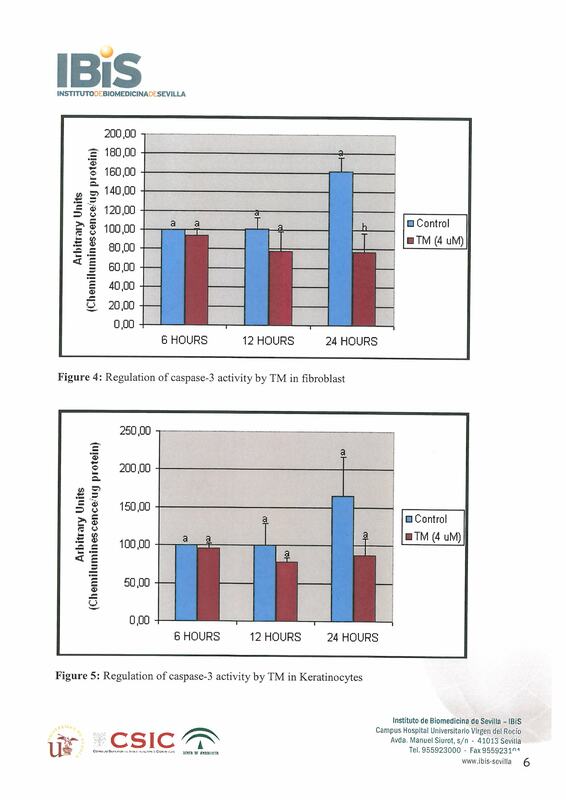 This anti-apoptotic effect of Tergum Maximum is related to a drastic reduciton of cell proliferation (6 and 24 hours) in fibroblast. 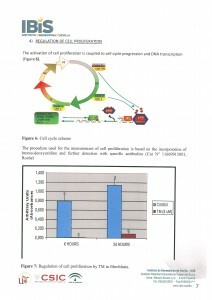 Impact on cell repair (DNA). 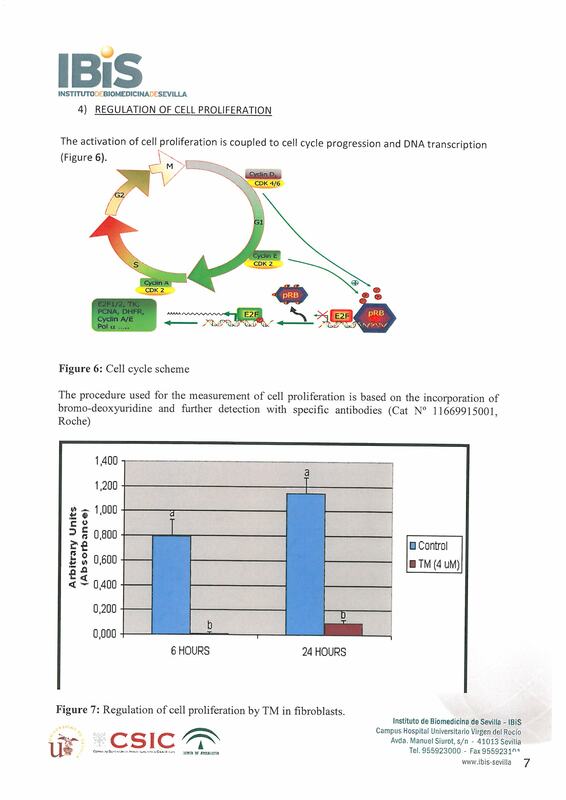 Prevention of malignant cell processes.